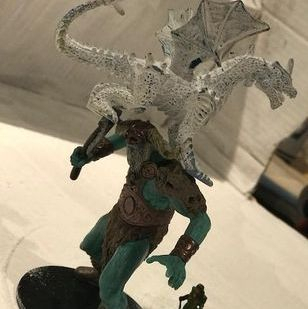 DM for Hire will be sending out these, 'Dungeon Challenges', that will be open to all players from all groups. Not part of a group? No problem. This option is also perfect for people who want to try the services of DM for Hire, but don't have a group formed yet. At the beginning of each month, the Dungeon Challenge will be issued. Occasionally, a second Dungeon Challenge may be issued in one particular month. The challenge(s) will be based on 5e rules. Experienced 5e players can make up their own characters, (based on the 5e rules), which must be reviewed and approved before being allowed into play. You must follow the, 'Ability Score Point Cost', rules in making your character up, and the character must be the level indicated to you by the Dungeon Master. Any characters generated by cheating will not be admissible for the Dungeon Challenge. Experienced and Non-experienced players can also select from available pre-generated characters, or they may make arrangements with the Dungeon Master for a custom designed character. You may not use an character from an existing DM for Hire 5e group unless that character is in-between adventures. You may not use an existing character from a group outside of DM for Hire groups. Characters being brought in from groups must be characters that are in the same world setting as the Challenge. The Dungeon Challenges used to be offered as basic level challenges (levels 1-3), however since we've been doing these, many regulars have advanced past that point, and so now DM for Hire also offers higher level challenges. 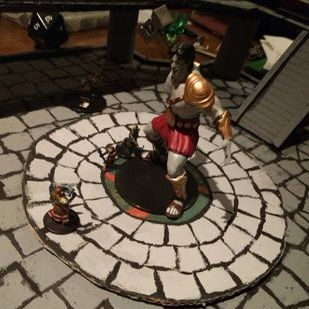 Players can make up characters at a level appropriate for those adventurers, or use their existing Dungeon Challenge characters if they are of sufficient level. 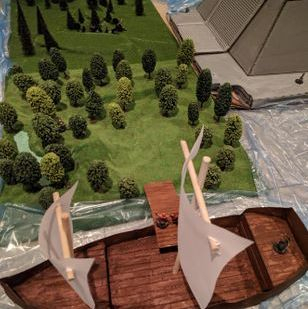 Each player may use the same character they played with at a previous challenge, (provided that the character survived), complete with all equipment they had before, including any treasure or magic they may have picked up along the way. Higher level challenges will occur over time as the players characters continue rise in levels. Each Dungeon Challenge set will be a special design that, along with the creepy sound effects, is sure to totally enhance game play. For some examples of game sets, see the pictures below. Dungeon Challenges are serious business for players. Your character very well may die, so be advised that if you bring a 5e character from an existing DM for Hire 5e group, and your character dies, you will have to make up a new character for your regular group play. However, for those that survive the Dungeon Challenge, the rewards are worth it! Entrance into the Dungeon Challenge is on a first come first served basis. Each challenge will be open to a party of a maximum number of players, depending on the Challenge. Some games will have a 6 player cap, and some may have a 9 player or more cap. To reserve your spot, the fee of $25 must be either be sent by interact e-transfer, or paid in person to secure your spot in the 'party'. This payment is non-refundable and not useable for different events if you suddenly can't make it, so make sure that you can commit to the date before you sign up. 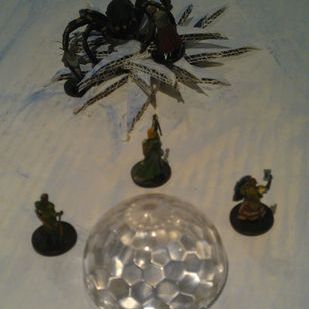 Since the beginning of 2019, I've been running the Monthly Dungeon Challenges using the Dungeon of the Mad Mage module. These challenges begin every time with the group starting at the Yawning Portal taproom, and going down the pit which leads to the multi-level dungeon, which I estimate will take us about 2-3 years to complete. 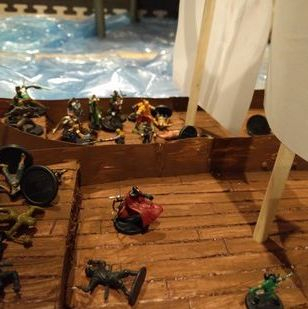 At the end of each session, the group will return to the surface, meaning that although this is a ongoing adventure, anyone can join in at any time. 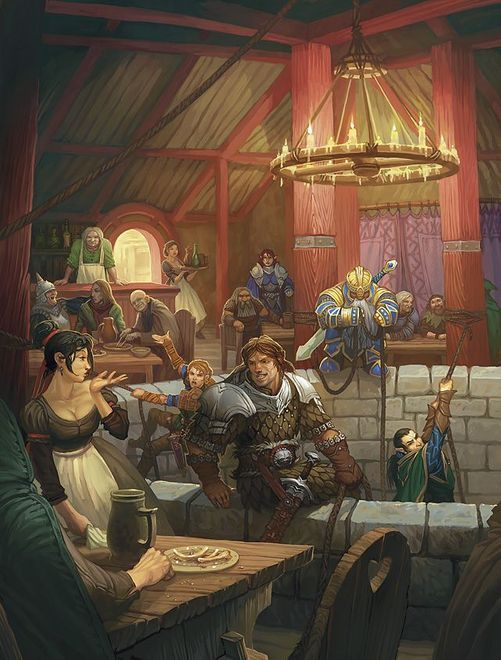 Of course we'll still have certain festive based quests at certain times of the year, and the annual 'Waterdeep Winter Games', will still be run in December, but otherwise all of the Dungeon Challenges will take place at the Yawning Portal Inn for the next while. Each challenge will also list a minimum level to play. For those who don't have characters that qualify, you can make them up at the required level. These events go quick, so if you're interested, let me know in advance so I can save you a spot. Book your spot NOW by email or by calling me direct at 647-668-1456.